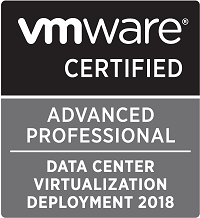 This post is a (late) follow-up on a previous post I did about exploring the monitoring endpoints of the vCenter Server Appliance (VCSA), and an addition to the vSphere Performance blog series. Now we will add performance metrics and health status of the VCSA to our monitoring solution. We’ll utilize the REST APIs in vCenter and feed the data into our Influx database and visualize it in Grafana. 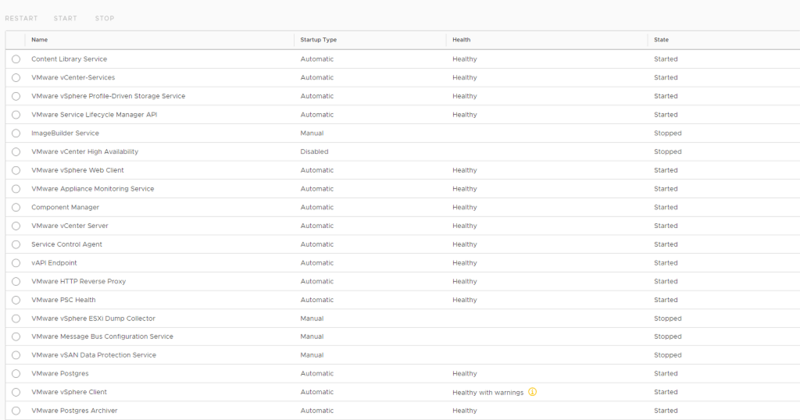 In vCenter we have the Appliance Management page also refered to as the VAMI. We will use this as a blueprint of what we want to visualize, but we’ll try to fit the important parts into a single Grafana dashboard. So, first of we’ll explore the parts of the VAMI we want to replicate and then the corresponding API endpoints. The VAMI home page has a section with some appliance info, different health status and the sso service. We will take some of these into our dashboard. The sso service will be included in the Services section. I’ve split health and system in two different scripts, mostly because I want to be able to run these on a schedule and the system endpoints doesn’t necessarily need to be queried as often as the health endpoints. Note that the services endpoint in this part is not the same as the vmon services later on. The appliance services is the actual OS services running, whereas the vmon service is the vCenter services. $uri = $BaseUri + "appliance/health/$met"
$uri = $BaseUri + "appliance/$met"
Note that I am prefixing the metric name with «health_» to create my measurement names in Influx. $tbl += "services,server=$vcenter $name=""$value"",value=$val $timestamp"
$tbl += "$measurement,server=$vcenter text=""$value"",value=$val $timestamp"
$postUri = "http://$influxServer" + ":$influxPort/write?db=$database"
$verUri = $BaseUri + "appliance/system/version"
$upUri = $BaseUri + "appliance/system/uptime"
$tbl += "appliance_info,server=$vcenter version=""$version"",build=$build,uptime=$uptime $timestamp"
Note that I’m skipping the appliance type etc. If you want to add this please be aware that the Influx point protocol doesn’t support whitespaces in values or tags so you need to make sure you handle this before adding. I’ve skipped the «post to influx» part of this script as it is the same procedure as above. In Grafana we can now start to build out our dashboard. 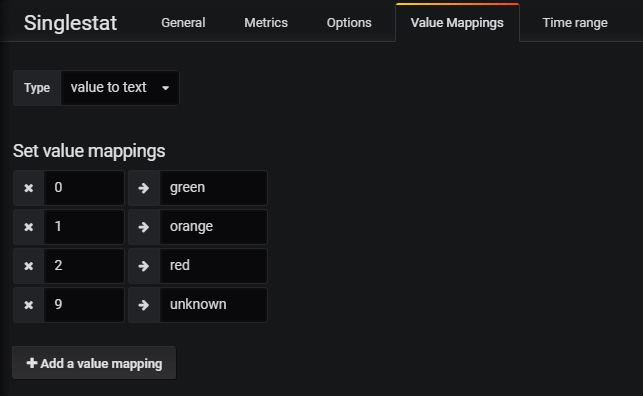 To utilize the numeric value in the health boxes I’ll use the value in the Grafana/influx query, add a value mapping and finally enabling coloring based on the value. Next we’ll add in the vmon services. In vCenter 6.7 we’ve got a services view in VAMI which is nice. Here we can stop and start the different services and see the status of them. We will grab these and use some of them in our dashboard. The endpoint in play here is the /rest/appliance/vmon/service . This will grab all of the vmon services and give the health and state of the services. The API outputs health and state in text as with the health endpoints. $tbl += "$measurementName,server=$vcenter health=""$health"",state=""$state"",value=$val $timestamp"
Before pulling in our services to the dashboard we’ll add in the utilization metrics. I’ve split these queries into two parts. I have one script querying for cpu and memory utilization (I would put the networking in here as well), and one that queries storage. Storage stats are queried less frequently. For both it will be the /rest/appliance/monitoring/query that we’ll use. 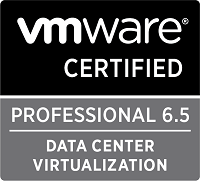 Note that there are some differences between 6.5 and 6.7 when it comes to the available metrics, as well as the naming of these (especially storage names). I will focus on the 6.7 U1 ones here. 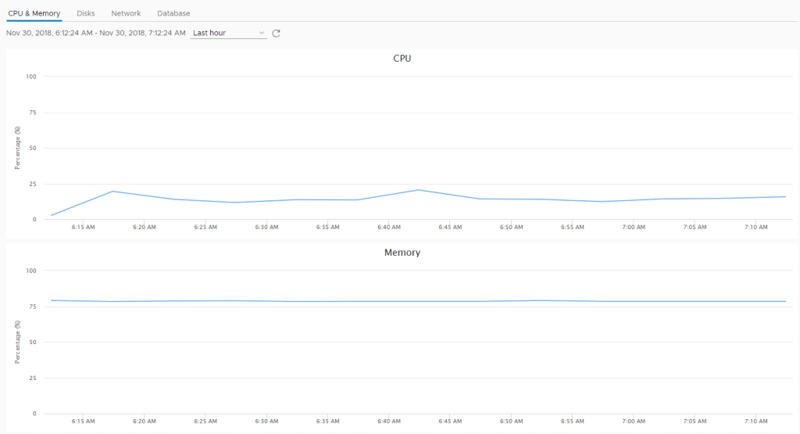 To check which metrics are available in your environment you can do a query to /rest/appliance/monitoring without any parameters and you’ll get information about all available metrics. The monitoring query needs a few parameters, both start and endtime as well as the interval and the function. The function is either COUNT, MIN, MAX, AVG or SUM. Lastly you need to add in the metric(s) you want. You can give more metrics in the same query, the syntax is item.names.count=metric. For cpu and mem this would be, item.names.1=cpu.util&item.names.2=mem.util. $uri = $BaseUri + "appliance/monitoring/query?item.interval=MINUTES5&item.function=MAX&item.start_time=$startTime&item.end_time=$endTime$string"
$tbl += "$measurement,server=$vcenter,interval=$($stat.interval),unit=perc value=$val1 $time1"
$tbl += "$measurement,server=$vcenter,interval=$($stat.interval),unit=perc value=$val2 $time2"
$tbl += "$measurement,server=$vcenter,interval=$($stat.interval),unit=MB $field=$storageVal $timestamp"
The final dashboard adds in some of the services as well as cpu/mem and storage utilization. 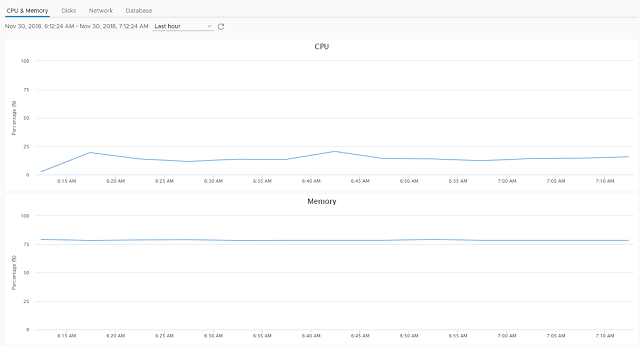 I’ve also thrown in trending utilization on cpu/mem and some of the db storage where I have a longer time period than the other graphs. This (lengthy) post have shown how we can retrieve status and stats from the vCenter Server REST APIs and visualize them. I have not set up any push notifications etc with this data, but there is some functionality for that in Grafana. The various statuses could also easily be sent to other tools as well for alerting purposes. Even though I have split my queries up in multiple scripts you can easily combine them into fewer, I’ve done it partly because I want to have different schedules on them and partly as a natural split on types of stats/metrics. The scripts and the final dashboard is available for download on GitHub. To get this running in your environment you need a InfluxDb instance and a Grafana server, check my blog series for information on how I’ve set up our environment. You’ll need to update the scripts with details corresponding to your environment, and in Grafana you need to create a datasource that is connected to the named database in Influx. When importing the dashboard in Grafana (version 5) you will get prompted on what data source the dashboard should use. Hopefully this has been valuable, feel free to give feedback in the comments or reach out to me on Twitter.